Bidi-bidi-bidi! Greetings, fleshy ones! I write once more from the 25th century, ready to enthrall you with my comput-o-words! 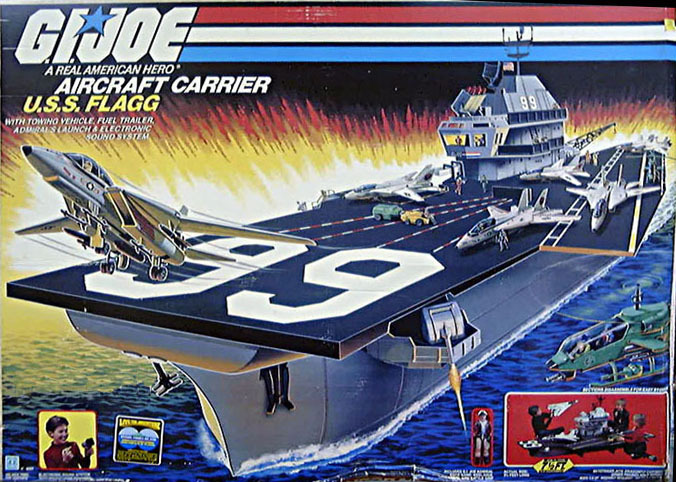 This time, I bring to your attention the USS Flagg. It is a toy aircraft carrier from the G.I. Joe line, released in Space Year 1985. 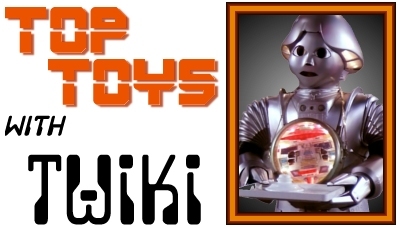 For any readers from the 25th century (Hello, Buck!) I should clarify that an “aircraft carrier” is a primitive type of Earthen vessel designed to float on water and carry aeroplanes. Aeroplanes are a bit like spaceships, but can only fly in one direction, and even then only in an atmosphere. My processors bleat mockingly in your direction, primitive Earth men! Bidi-bidi-bidi! Bidi-bidi-bidi! Greetings from the 25th century, my fleshy friends!